The Jamaica Diaspora Advisory Board Canada hosted a conference on Saturday, July 12, 2018, at the Royal Canadian Legion Hall, in Toronto, Canada. The Keynote Speaker was the Honourable Pearnel Charles Jr., Minister of State, in the Ministry of Foreign Affairs and Foreign Trade (MFA&FT). The event was themed: Out of Many, One People: A Spotlight on the Issues. The day opened with a folk performance with Ms. Letna, adorned in her traditional costume. For some of us, it was like turning back decades of memories to Jamaican school performances…the very last time we ever heard such authentic pieces of Jamaican folklore. It was on that very riveting note, that we went into the plenary sessions. All one hundred and thirty-two participants separated into three plenary sessions held concurrently in the morning: (1) Investment in Jamaica, (2) Crime, Policing and the Justice System and (3) Health Care. In the Investment in Jamaica session, Regional Director in Canada for the Jamaica Tourist Board, Mr. Philip Rose, and Director of Jamaica Promotions Corporation (JAMPRO) North America Office, Mr. Vivion Scully, facilitated discussions on initiatives and opportunities for investment in Jamaica. Tourism and related attractions and services were highlighted as an attractive sector for investments. Mr. Rose spoke about the increase in tourism in Jamaica over the last year. “Among the main tourist destinations in the Caribbean, Jamaica has the highest percent of repeat visitors,” says Rose. “Our common phrase is this; once you go, you know.” Chief Representative Officer of Jamaica National Bank of Canada, Mr. Jerrold Johnson highlighted that Non-traditional formats, such as Airbnb, have also become a disruptor in the tourism industry. Airbnb is an online platform whereby people who want to rent their homes and spaces, are connected with people who need affordable accommodation. 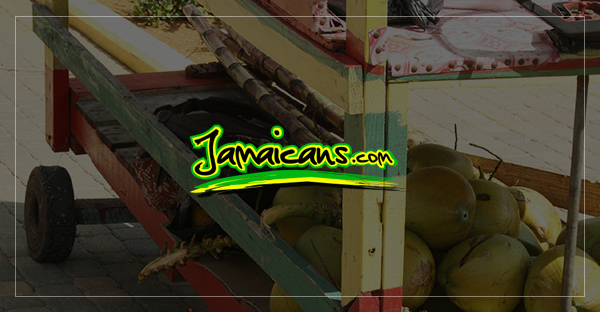 Thus, it serves as another method to further boost and diversify Jamaica’s tourism products. While in the Crime, Policing and the Justice System session, there were two notable speakers: Chief Mark Saunders of the Toronto Police Service, and Mr. Dave Mitchell, Assistant Deputy Minister of the Youth Justice Services Division. During this assemblage, they discussed crime and its effects on Jamaicans in Canada. Strategies of crime prevention in Jamaica, social intervention projects and partnerships. After popping in on the tail end of the discussions, I overheard passionate participants expressing their concerns about the challenges directly or indirectly encountered by the Justice System in Canada. The Health Care session, focussed on the impact public health travel advisories have on tourism – we all recall the heart-wrenching effects of Zika, for example. Also, mental health and its association with crime was underlined and opportunities for Diaspora investment were identified. The speakers were: Dan Williamson, Heather Aspinall, and Nene Kwasi Kafele. The discussions were paused as lunch dawned. Lunch was executed hospitably while it permitted the opportunity to foster new networks. I had the chance to engage with one participant about a different mode the Diaspora could invest in and make a difference in Jamaica: The Mickle-Muckle Fund is an opportunity for the Diaspora to raise $1 million by individuals investing $100 yearly. Each investor would then vote on which project the fund would benefit the most. The Jamaica Diaspora Conference in Review outlined a synopsis on the recommendations that came out of the Diaspora Conference, and identified next steps to be achieved before the coming conference in 2019. The Consul General of Jamaica at Toronto, Mr. Lloyd Wilks identified a list of recommendations: To examine the reports Matrix, to adopt 100 clinics, pledge-to-build projects, pairing-of-schools initiative, and crime prevention strategies such as gang-related crime and violence strategies in Jamaica. Mr. Kevin Junor, Member of the Jamaica Diaspora Crime Intervention and Prevention Task Force (JDCIPTF) highlighted the most recent successes of the Taskforce, such as the Town Hall held in April 2018, along with his recent visits to the Correction facilities in Jamaica. Overall the conversations were rich and filled with optimism. We went away with stronger networks, feeling empowered and knowledgable about the next steps, and ultimately more determined to take action in order to build a stronger Jamaica- to achieve vision 2030. With an indomitable spirit borne from the conference, it’s apparent that we, the Jamaicans in the Diaspora, are committed to making Jamaica a place where people can truly live, work, raise families, do business, and retire; after all it’s paradise.